Yesterday, Feb. 11, 2019, on 105.1 AM “Breakfast Club” radio show in New York City, Kamala Harris told host Charlamagne tha God she would support reparations for “black people”. This entry was posted in 2020 Election, Congress, Economy, Green New Deal, Liberals/Democrats/Left, Race, race baiters/profiteers, race war, social justice warriors/SJW, Taxes, United States, Welfare and tagged 105.1 AM "Breakfast Club" radio show, Black reaction to Kamala Harris, Charlamagne tha God, Kamala Harris, reparations for slavery, The Lift Act. Bookmark the permalink. Reparate all interested with a one-way ticket to Uganda. OK, we’ll agree that anyone who wants reparations will be sent back to Africa. If we manage to find a single living person who was born and spent all of their adult life as a slave we will be happy to make restitution. Until then, no pennies for posers. If your policies can’t support opportunity for all, promise free stuff! I would suggest that anyone voting for this ineligible, ignorant sleaze also be deported to wherever .. as far away as possible. As it now looks, that would apply to the entire Dhimmicrat Rogue’s Gallery of candidates. So where are we going to send Kamala Harris? Kamala Harris bio states she is African American, she is far from being African American, she is of bicultural heritage -Kamala Harris’s mother is a physician from India and her father a university professor from Jamaica, both parents emigrated to the US in the 60s, Kamala was born in 1964 in the San Francisco East Bay. Where in the hell is she an African American. “Repairations” for what? She is another Obongo marble cake. Parents from India and Jamaica (“cool runnings mon”). Lived in Canada. I’m not sure she’s even eligible. What am I thinking about? Of course she is, is my willy brown? It’s dem white devils we gotta look at. What do mister Rothschild say? So does she plan on penalizing the families that had black family members that owned slaves, because there were many? I am so ready for this topic to go dead. As was said above, none of us lived as slaves nor were slaves owners, time to enter it in the books and move on. It brings nothing but division. If you look at the link I provided above you’ll see that, comparatively speaking, it’s practically a “non-issue”. This is another issue similar to the “Holo-hoax” that has been invented and inflated ad nauseam. The entire “reparations” argument is idiotic. Why would anyone living today “OWE” them anything? Maybe they owe “us”. Maybe we kept them from being eaten by a cheetah. How many times must we continue to pay “reparations” – for what we did not do? We already PAID them. It was called the Pigford case and millions of filers got refunds who never saw a farm! Where does she want the reparations paid? In India, where her mother comes from, or Jamaica where her father comes from? 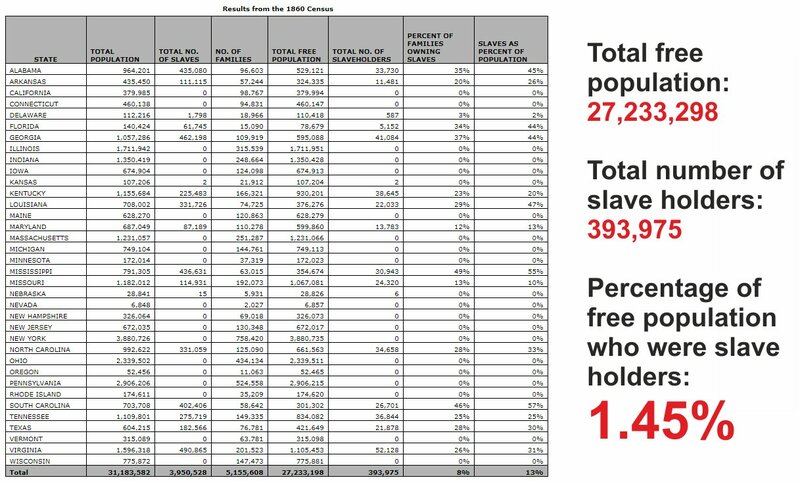 And what about the thousands and thousands of Union soldiers who died freeing these Democrat’s slaves. Will they receive reparations? Let the “government” foot the bill and pay for the DNA testing to see if they really are Africans, or whatever ancestry they belong to, you see, the “mixture” is so large it’s been watered down I doubt there is a single molecule to indicate if they came from Ethiopia, South Africa, Botswana or any part of the African continent. There are no “pure” in the four continents, Europe, Asia, Africa and the Americas. It does not come from Kamala Harris, the whole idea and black reparations fraud comes from Marianne Williamson, tribal member who is calling for 100 Billion over the next decade, 10 Billion annually. USA is being setup for a new Civil War. Spend some time and look it up. I especially liked THIS comment-ouch! America has already paid many times over, by the fact that American society has been in decline for decades.